Photos: Above HWM, Allihies, Co. Cork, SW Ireland. Thallus superficial, whitish-grey or pale brown. Perithecia are not covered by thallus, 0.32-0.78 mm diam with a well developed involucrellum. Spores (15-)19.5-25(-30) x (7.5-)9-11.5(-13) µm. Coastal on damp siliceous rocks in the upper maritime zone. 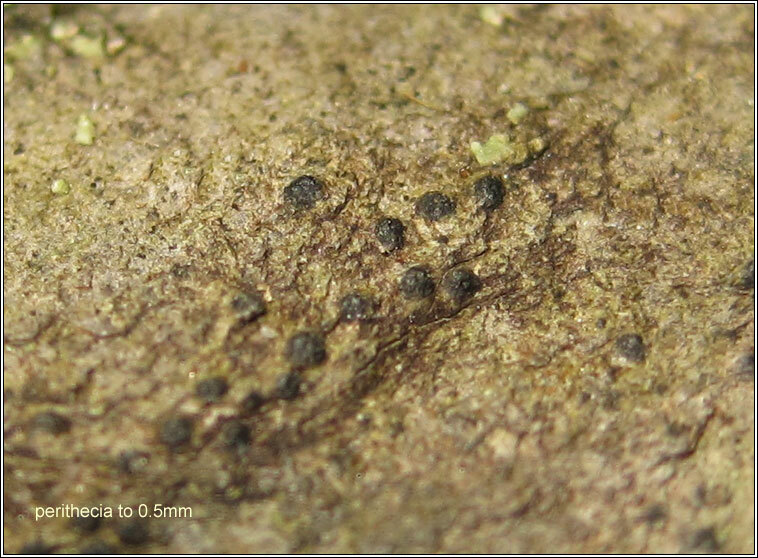 Similar: Verrucaria muralis. 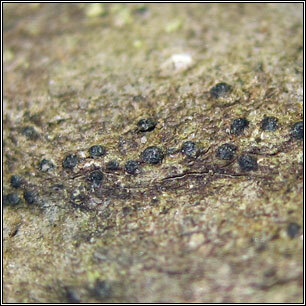 Spores usually narrower.